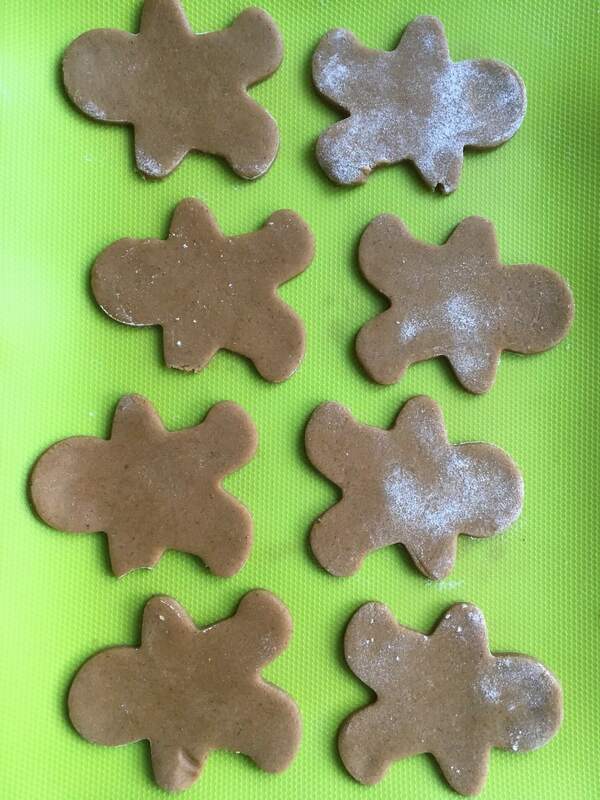 My go-to Gingerbread Men recipe – taken from Cookie Magic by Kate Shirazi of Cakeadoodledo – with a few of my own alterations. Sieve together flour, bicarbonate of soda, ginger and mixed spice into a large bowl. Cut the butter into cubes and rub into the flour with fingertips until it is all breadcrumb-y, then add the sugar. 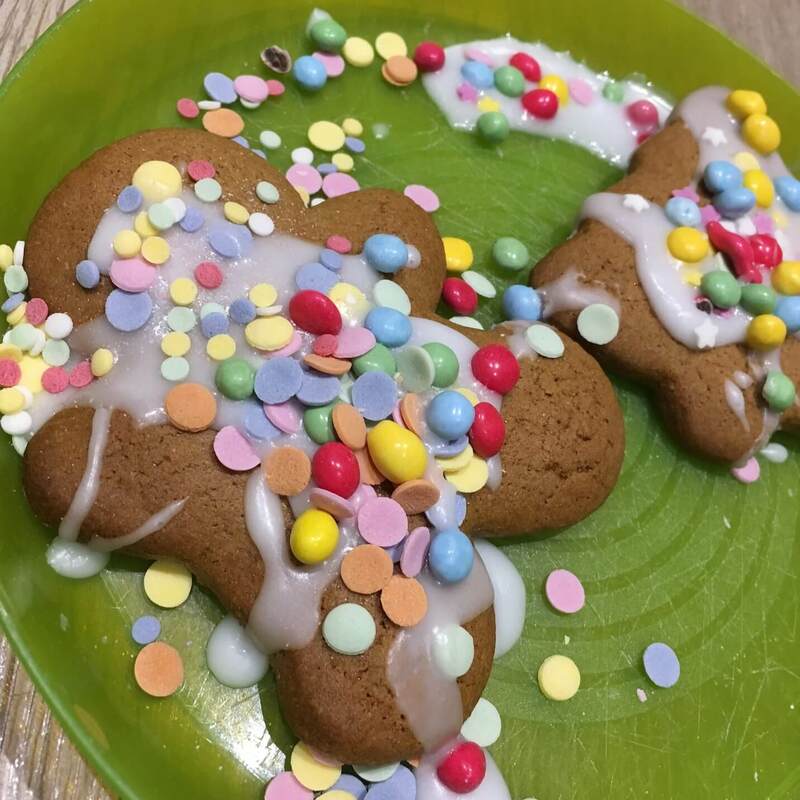 Tip the egg and golden syrup mixture into the flour mixture and stir it well, use your hands to bring it together into a ball, if it is too sticky sprinkle on some extra flour, turn it out onto the work surface and knead it until it is a nice smooth dough. If you have time, wrap it up in clingfilm and put it in the fridge for 30mins but don’t worry if you don’t! bake at 180°C for about 12 – 15mins until they have risen slightly are golden brown and look cooked, keep an eye on them as if they are overcooked, they go really hard.